For additional information about this book, visit the website www.thepurpleteddybear.com. With black button eyes, a little black nose, and a blue ribbon around his neck, Teddy looks a lot like the other teddy bears who are waiting in Santa’s workshop for their new homes. But instead of being black, brown, or white like most bears, Teddy is the one and only purple bear. Teddy does not mind being the only purple teddy bear. That is, until the toys at the workshop begin to tease Teddy. Upset, the little bear runs away. After a visit from Santa, Teddy learns to embrace his individuality and love his purple fur. He even receives the most unexpected gift of all: a new best friend. An instant classic that children of any age will treasure all year long, The Purple Teddy Bear celebrates the qualities that make us stand out and the friends who help us shine. Would you like a friend like Teddy? Janie Tesch-Cassady was born and raised in Minnesota. She attended St. Cloud State Teachers College. After college, she married and moved to Buffalo, Minnesota, where her husband practiced law. She taught first grade until the fourth of her five daughters was born. Art and writing were always a passion. She wrote The Purple Teddy Bear while in college. Her professor had encouraged her to publish it, but life got in the way as she became a busy mom, talented artist, and volunteer. Now a great-grandmother, she was encouraged to pursue her writing career. She currently lives in Plymouth, Minnesota. 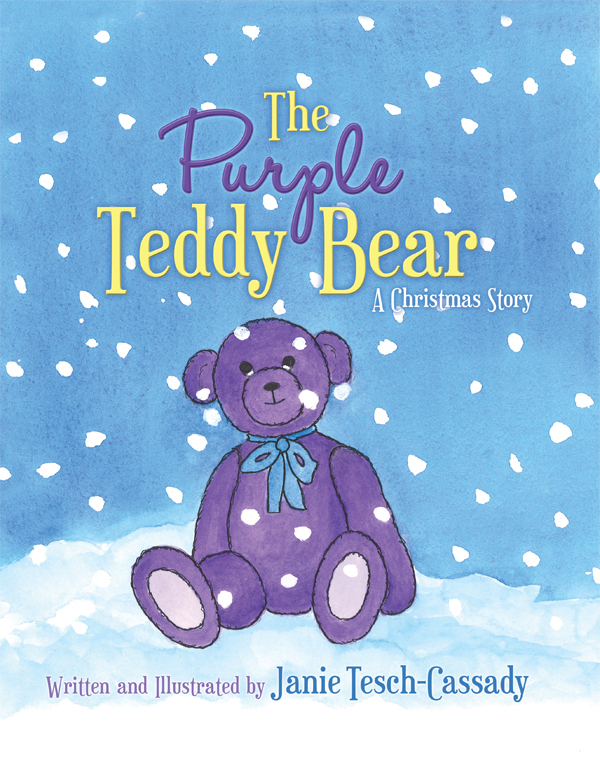 The Purple Teddy Bear is her first published story.